Chime for Change is a charity founded by Gucci. It promotes Education, Health and Justice for girls and women everywhere. 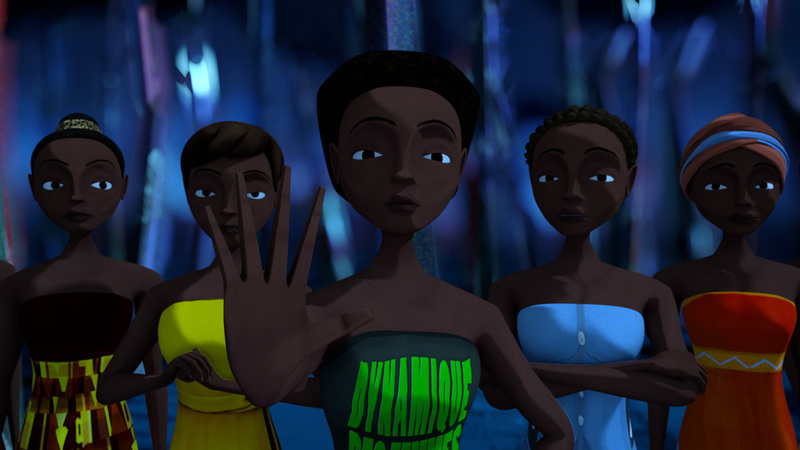 We were honoured to be asked to produce an animated film that tells the story of the DFJ, a group of lawyers fighting for women's rights in the Democratic Republic of Congo. These strong women are fighting and succeeding to change attitudes and enforce the law in the face of continuing harsh atrocities. We were asked to produce a film that is upbeat and optimistic with the energy of a music video. The film was shown at a concert in Twickenham stadium alongside live music from Beyoncé, Jennifer Lopez, Florence & the Machine and many others. Visit www.chimeforchange.org for more information or to make a donation.